Food Librarian The Food Librarian: Mitsuwa Market's Kyushu and Okinawa Food Fair - This Weekend! Mitsuwa Market's Kyushu and Okinawa Food Fair - This Weekend! Mitsuwa Japanese Market's Kyushu & Okinawa Food Fair is this weekend in Torrance, Costa Mesa and San Diego (7/18-7/21). More info here. Here are some photos I received from Mitsuwa to give you a sneak preview of what you can get. 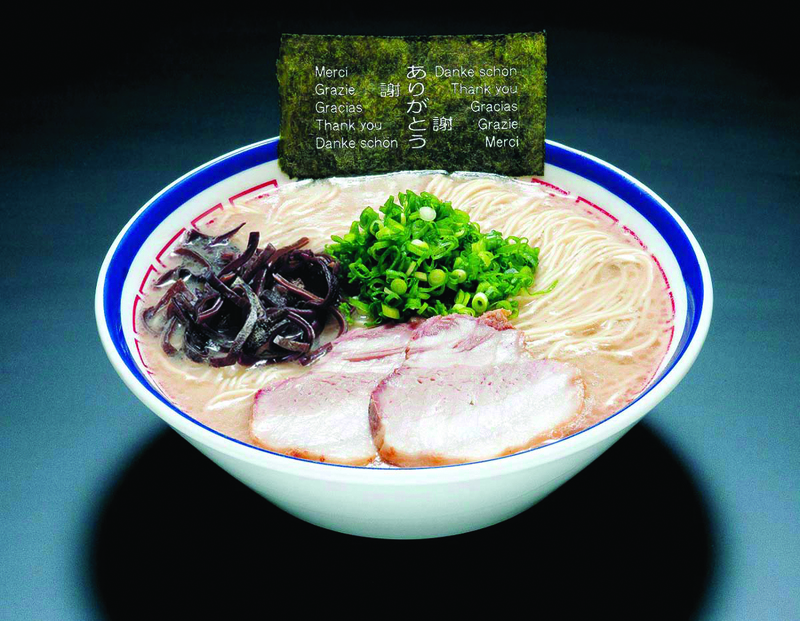 Hakata Nagahama Ramen of Tanaka Shoten (Tokyo) will have a pop-up ramen stall at the Torrance Store only. 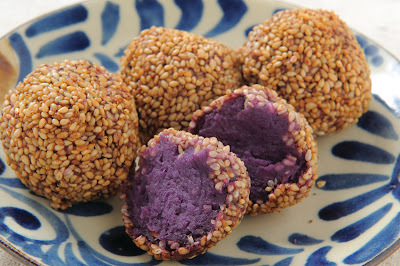 Beni Imo (that cool purple sweet yam) balls rolled in sesame seeds. 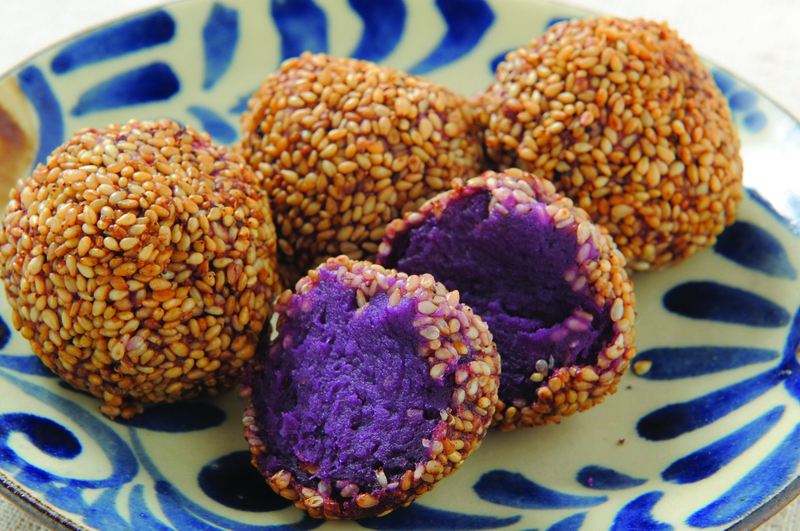 Since it has Okinawan food, there will be lots of fresh, hot Okinawan Dango (donuts) and other food for sale. I'm looking forward to ending my meal with Blue Seal Beni Imo soft serve ice cream! Disclosure: I don't work for nor get any compensation from Mitsuwa. I just like their food fairs! Photos from Mitsuwa. P.S. If you are in San Diego and at Comic Con, please stop shop at my friend's JustJenn Design's booth in Small Press N10! Mr Mochi and I always make sure to stop by our local Mitsuwa for the fairs. I love the Beni Imo ice cream, and this time they also had a mango flavor to try! I was kinda sad there was no ramen at costa mesa. Not sure what distinguishes Okiwawan food from Japanese dishes. I'm sure there must be all sorts of regional differences.